For years Mr. Meacham, an old woodcarver, has fascinated children in the region with his stories about a fierce dragon who lives in the depths of the forests of the Pacific Northwest. For your daughter Grace, who works as a forester, these stories are just stories for children … until he meets Peter. 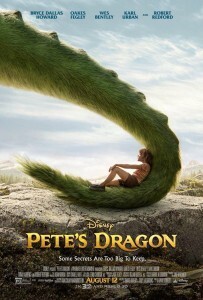 Peter is a mysterious 10 year old boy who has no family, no home, and ensures that lives in the forest with a giant green dragon named Eliott. With the help of Natalie, a girl of 11 years whose father owns the local sawmill, Grace will depart for answers that averiguen where it comes from Peter, what is your true home and the truth about the dragon.